Baker BW and Hill EP. 2003. Beaver (Castor Canadensis). Feldhamer GA, Thompson BC and Chapman JA (Eds), Wild Mammals of North America: Biology, Management and Conservation. The Johns Hopkins University Press: Baltimore, Maryland, pp. 288-310. Goldfarb B. 2018. Beavers, Rebooted: Artificial beaver dams are a hot restoration strategy, but the projects aren't always welcome. Science. 360(6393): 1058-1061. DOI: 10.1126/science.360.6393.1058. 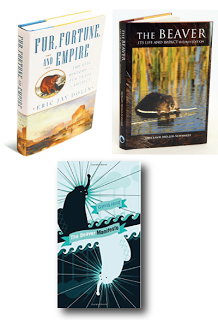 We have put together a beaver bibliography for you as well as direct you to specific readings for each workshop topic. 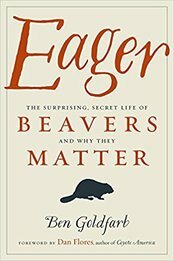 We will rely primarily on Ben Goldfarb's new Eager: The surprising secret life of beaver and why they mater and augment that with primary literature for course readings. Our syllabus tracks the narrative of Ben's book well and he does an excellent job of bringing in references to the scientific literature where appropriate. However, there are also three highly recommended texts for this course. See here for required course on the USU Campus Store site.